As a senior accounting major, Luis Perez ’86 captained the Lions baseball team. 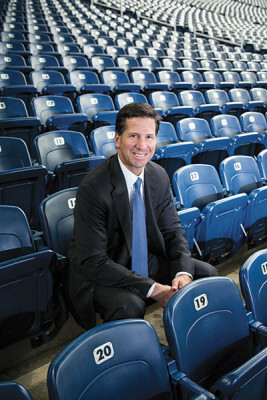 Today, he’s senior vice president of business development and strategy for the Detroit Lions. 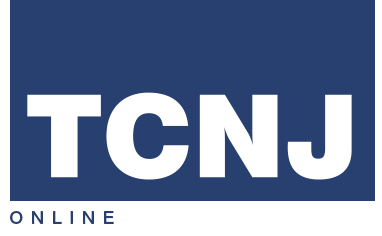 In the interim, he’s served as a financial officer for teams in every major sports league: the Philadelphia Phillies, New York Knicks, New York Rangers, and Baltimore Ravens. He talked with us recently about the business of professional sports, the Teflon nature of the NFL’s appeal, and how his family escaped Castro’s Cuba in the 1960s. You returned to the NFL after seven years as managing director of Modell Ventures LLC. What brought you back to sports? 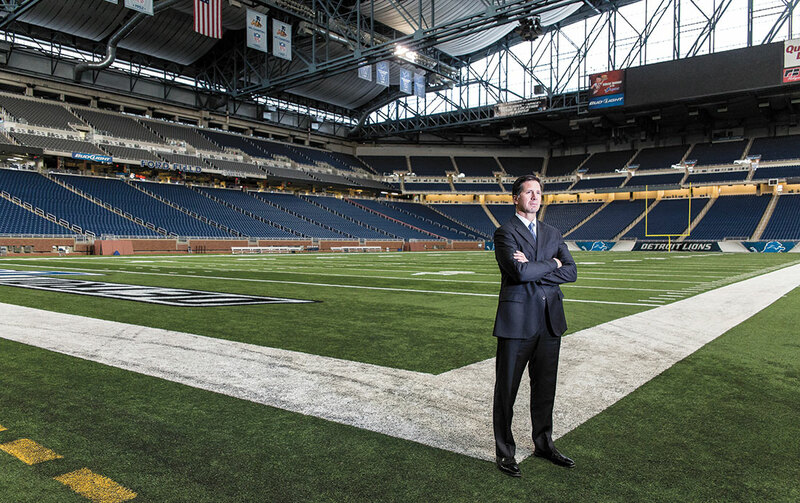 I had the opportunity to join two NFL clubs, and picked the Lions because it seemed like a cool opportunity to play a key front-office role in the rebuilding of a franchise. It was similar to what I experienced in Baltimore, where we opened a new stadium and later won a Super Bowl. I’ve been in Detroit for four and a half years, and we’ve been able to build a lot here. What’s your role with the Lions? I oversee our data and analytics, which we use to know what our customers want. For example, do they prefer a certain beer or a certain seating section? Do they get to the stadium an hour before the game or at kickoff? Are they buying licensed Lions baby clothes before coming to the stadium? Business decisions need to be based on intelligence rather than intuition. For example, when we’re looking at creating a new space in the stadium, how many seats should we add? What can the market support? Are we better off building an exclusive space for 25 and pricing the seats much higher, or adding 250 seats at a lower price point due to the market’s spending habits? Ford Field [the Lions home stadium] is undergoing major renovations right now. Are you involved? Yes, with planning where to spend dollars and how to build spaces within the stadium. When I got here in 2011, the organization really hadn’t done anything to our stadium since it opened in 2002. We’ve recently been addressing master plans for improvements. I’m involved by providing analyses: How do fans want to consume our product live, and how do we create physical spaces that allow them to do that? The goal is to grow our business and our revenue. We’re not able to do every possible project, so we prioritize them based on business objectives and marketplace data to see what people want, how much they’re willing to pay for it, and how much capital we’re able to raise. Is public funding being used for these renovations? While there’s a role for public money, it’s not the lead money it once was. Everything’s done through partnerships today. Thanks to a loosening of league rules about doing business with casinos, we were able to [work with MGM Grand to create] the MGM Grand Detroit Tunnel Club. It’s a new exclusive premium area attached to the locker room tunnel [that allows fans] to be close to the players as they enter and leave the field. The city of Detroit filed for bankruptcy a little more than two years ago. How does that factor into the Lions’ renovations? It’s not so much that Detroit is depressed or a tough market; it’s evolving. New York City, in five to 10 years, will look pretty much the way New York City looks today. It’s really hard to predict what Detroit will look like in five to 10 years. There’s a renaissance going on here—an overwhelming optimism about this market. Sure, there are questions: How much corporate base will be here? How much affluence? Whatever we build today is going to have to last 15 years. Having worked in each of the major professional sports leagues, which is prospering the most? Without question the most successful league is the NFL. The NBA does some great stuff in terms of marketing, by adding layers of sophisticated data on customers and making decisions based more on science than art. The NHL and MLB are beginning to move in that direction, too. Those leagues also play more home games, so they have a lot more product to sell [and can therefore] invest more time and effort into creating loyalty and fan engagement. But TV ratings for a run-of-the-mill, regular-season NFL game are greater than the numbers for postseason games in other leagues. Could this change given recent scandals surrounding the NFL, including “Deflategate,” and domestic and child abuse charges against several big-name players? Those things hurt our brand and affect the way sponsors look at us, but at the end of the day I don’t think those incidents will have a long-term effect on the NFL. The metrics show the marketplace can’t get enough of the National Football League. You were born in Cuba. How did your family get to the U.S.? We came on a Freedom Flight in 1968. Fidel Castro told the world that anybody could leave the island, but they had to have a direct relative take responsibility for them in the U.S. So my parents submitted our name for a lottery that would select who could leave. We won. [Pauses.] Our lives would be so different if we hadn’t. I think about that when I look at my children, and think about the opportunities they have. I wouldn’t have had the choice to attend college. What I did for a living would probably have been chosen for me. In America, nobody tells you how to spend your day or how much you can earn. I was four years old when my dad, Luis, and my mother, Genoveva, left everyone they knew and everything they owned to come to this country because of the opportunities available to their children. They didn’t even speak English. But somehow they managed to raise us. My dad grew to love this country so much. He instilled in me the notion that if you put your mind into something, and you have the proper work ethic, you can be anything you want. What’s your reaction to the U.S. normalizing relations with Cuba? It thrills me to think of the enormous opportunity this presents to the people of that island. I have relatives on my mother’s side who still live in Cuba. I’d love to be reunited with them here. I don’t know how that’ll happen, but at some point I hope to get that opportunity. ← What was your most memorable college road trip?